HP and Dell posted an impressive year, growing 13% and 15% respectively despite being the top two biggest PC makers, especially when compared to market which grew 5%. Apple and Lenovo did well too. I wrote about this before: the PC market is seeing a flight to quality. The top tier manufacturers are growing while the lower tier ones are contracting. The “Others” category saw an 18% drop in shipments. This goes back to users expecting a better PC experience for a given dollar. PC makers that were able to meet that expectation flourish, while those that can’t die. 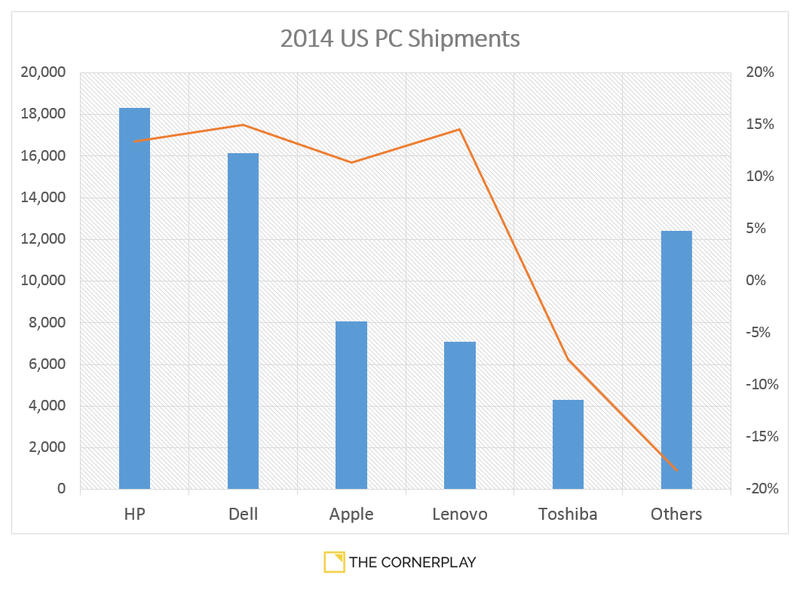 This is why Apple has done so well; and why HP, Dell and Lenovo have done even better. That’s for market share anyway. When it comes to profit share, no one holds a candle to Apple.